Tipard MKV Video Converter Full Version Registration Code for Free – Tipard MKV Video Converter is an easy way to enjoy your favorite MKV videos anywhere without having to depend on Matroska Video Player. This MKV Video Converter helps you convert your MKV videos to formats that are playable in other media players and more importantly on your portable media devices. It can easily convert MKV, MPEG, HD MPEG, etc to AVI, MPG, MP4, HD videos, etc and also extract high-quality lossless audio from MKV and other videos and convert them in formats such as AAC, AC3, AIFF, AMR, AU, MP3, WAV, etc. 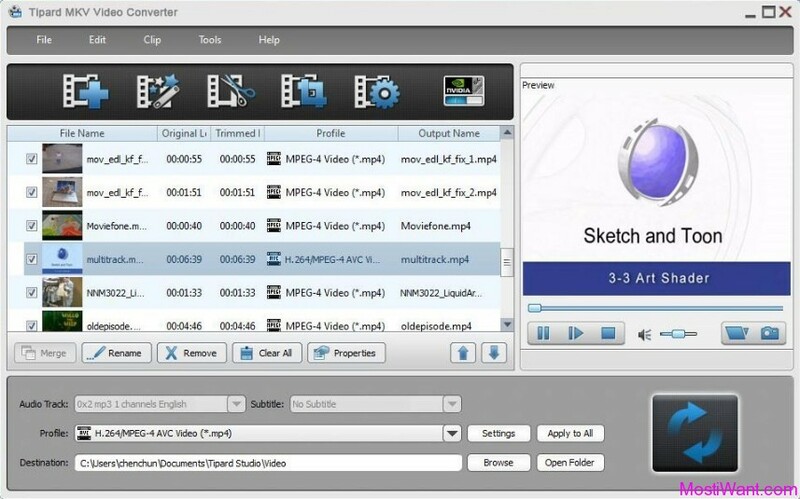 This MKV Video Converter is also the multifunctional video editor software comprising functions of Video Joiner, Video Cutter, Video Cropper, and Video Watermarker for you to get the perfect effect. Tipard MKV Video Converter can be suitable for any kind of DPI, especially for the large-screen display users. With NVIDIA CUDA and AMD APP technology, convert video and audio with perfect output quality and high conversion speed. The user-friendly interface can simplify the operation a lot, and it is suitable for both beginners and advanced user. Convert MKV video to the popular video and HD video formats for all the portable players. 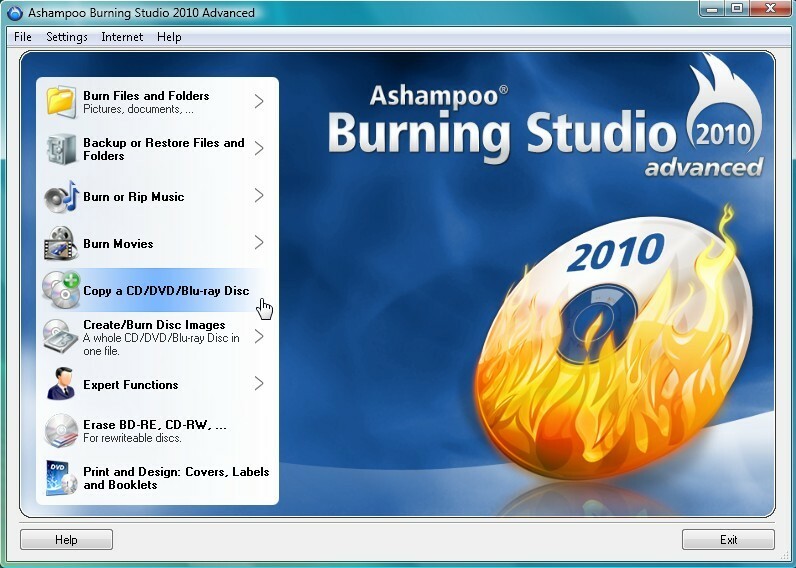 Convert MKV to AAC, AC3, AIFF, AMR, AU, FLAC, MP3, M4A, etc. audio format. 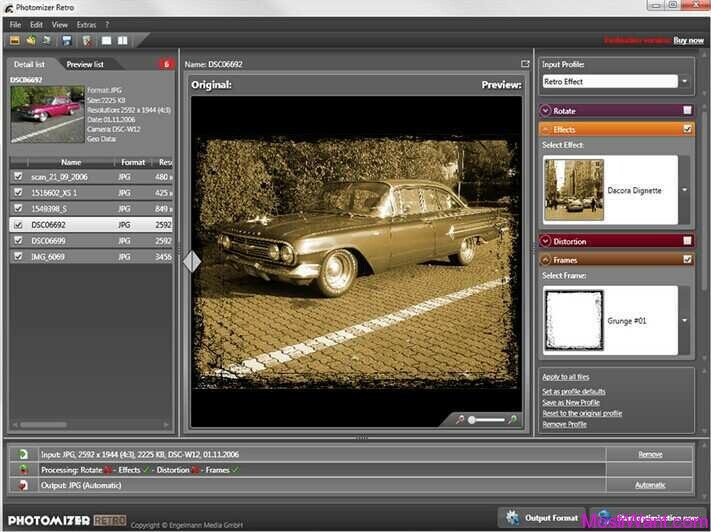 Capture your favorite pictures when preview your video and save as JPEG, GIF or BMP formats. With NVIDIA CUDA and AMD APP technology, you can get the highest conversion speed and perfect quality. Adjust the video brightness, saturation and contrast. Even you can convert an interlaced video effect through the function of “Deinterlacing”. Trim any segment of a video and join several pieces together as a single one. The “Crop” function can crop the video frame to remove the unwanted playing areas and the black edges to fit your player. Watermark your video in the form of a text or image. And you can set its position and transparency. Join your selected files into a single one for you to enjoy successively. Tipard MKV Video Converter is normally priced at $35.00 per serial number / registration code. To celebrate 2013 Easter Holiday, Tipard now provide Smashing-egg game on Facebook, by playing which, you will have the opportunity to get Free Software – Tipard MKV Video Converter and get 40%, 50% and 60% coupon code for certain products. Just play it, maybe you are the lucky one. No time is limited for the smashing-egg playing game and you can also smash one egg more than one time. More surprise for you! Visit the promo page here. Alternative offer [updated on May 3, 2013]: The above Facebook giveaway is still working and here is another new time limited giveaway for this software: you can download Tipard MKV Video Converter full version free and legal from Giveaway of the Day for today only (May 3, 2013). Don’t miss it. Visit GOTD Page. I hate these FB giveaways. As hard as it might be to fathom for some people, there is a significant portion of the population that doesn’t use FB, and we like to get the same freebie offers as everyone else. How about a direct link for us Facebook luddites? I do not known if it is legal, but here is the direct download link & register code for you. Thanks so much, Clair. You are awesome! Tipard is known for spamming forums and their software was recognized as malware by many antivirus engines. I wouldn’t risk my PC’s health for that. @Mario, Thanks very much for your suggestion. Best regards. I have downloaded it on November 1st with a kind of try attitude. I find it is totally different from what Mario wrote here. The software goes smoothly on my computer and i tries many antivirus engines to test it and all of them works well with no virus reported. I can not help suspecting that Mario is a rat who came here to disturb our judgement. If so, i can only say you can so mean. I think that right voice should also be heard. @Jack, thanks BRO. Well, but i don’t think Mario is a rat. With regards to a software, every one has a different opinion. Best regards. P.S. tipard.com got a poor reputation on wot, mainly because they are spamming forums.